* Starts spicy and citrus, but it’s not sheer. The ginger starts a bit strong and kind of makes your nose tingle. * It goes on refreshingly, like an energy booster, yet it’s oddly not light. * The spicy ginger stays around and is joined by a dirty violet and a light jasmine. There’s a hint of patchouli as well, which is a sign of what’s to come. * While it starts off quite strong, it quiets down when the flowers start to come in. * The patchouli is joined by resins and amber taking it in a very oriental direction. Summary: Mark Buxton is the perfumer behind many of Comme des Garcons most-loved scents (2, 2 Man, Edp, White) as well as scents for Givenchy, Le Labo, and Linari. Like Francis Kurkdjian, he’s stepped out from behind the scenes to become his own brand. After an initial launch in 2008, he grouped and relaunched his line to much fanfare in 2012 (along with The Nose boutique in Paris). Black Angel was part of the original 2008 launch and was brought back for his relaunch. It’s easy to see why, as it’s a very nice fragrance that is easy to wear and appealing to a lot of people. The top notes are a little out of the ordinary – energetic ginger spicing up citrus – but once it calms down, it becomes very familiar – probably something that you’ve worn before and liked. Think of Black Angel as one of the better Bond scents, a little bit of a twist but still very acceptable. While the top is a bit aggressive, once it calms down it makes quite a nice office fragrance that has personality but isn’t over the top. Black Angel would be a good scent to try if you are looking to take one step outside the designer mainstream world but don’t want to go “too” crazy into strange stuff. Longevity is good at about 8 hours on my skin before it becomes too difficult to detect. 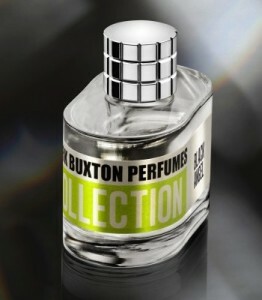 Mark Buxton fragrances are available through the Mark Buxton Website. Disclaimer: Sample purchased for review – no disclaimer need. No financial compensation is received for this review or any others. All opinions are mine. Image courtesy of Marc Buxton. I didn’t realize he had his own line. Will investigate. Thank you! This is actually his second line.. Black Angel was in his originally line two years ago. The new line is all over Paris and I think he is an investor in the The Nose as well.